Coron has no long stretch of beaches where you can loll around and pretend to swim. 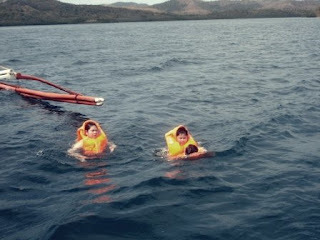 In Coron, you have to swim or else you will drown! 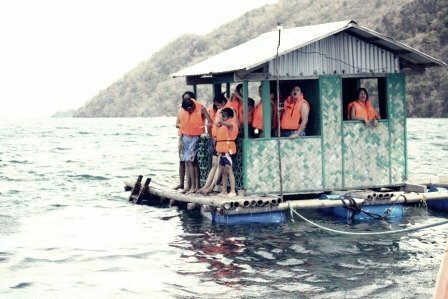 Our first experience of Coron water was snorkeling out by the floating hut. We had to wear life vests because first: the sea current was quite strong and second, we might actually tread on the corals below. 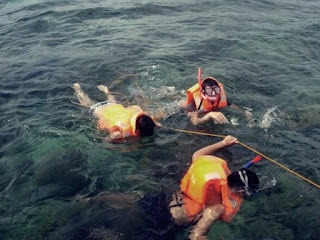 Donning our snorkelers and vests, one by one we jumped out of the boat. 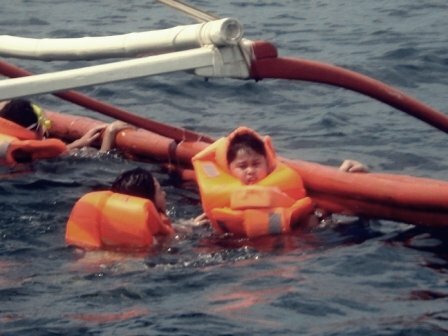 The others used the boat's ladder to get down to the water. As I plunged into deep and dark blue water, my thought was that I forgot to ask the boatman if there were sharks around the area. The co-boatman said "yes, but small ones only and they don't bite." What the crap?! Who cares if they don't bite?! A shark is a shark. My concerns were washed away as I viewed the beautiful coral reef below us. 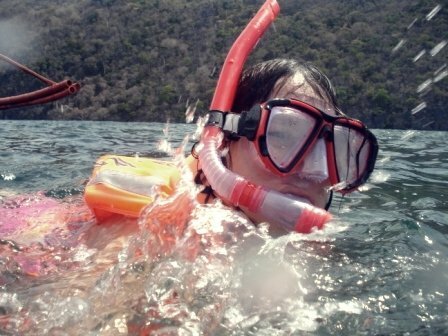 We were all floating heads down geared with our snorkels. Not 5 minutes have passed and we all found ourselves 10 meters away from our boat! The current was quite strong so we all swam back to the boat and hang by some ropes so the current won't sweep us out. ... and the new word for today is snork! We had a hard time convincing Ethan to go down the deep and seemingly threatening water. Who wouldn't be? His mommy convinced him anyway while I watched and said that he could do it. 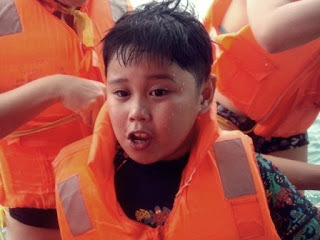 He finally consented to go down the water but with D4 and not with his mommy. .... don't let go auntie D4! "Come on Ethan! You can do it!" I love snorkeling too...looking at your pics and reading your post makes me wanna pack up my bag and enjoy the day snorkeling!